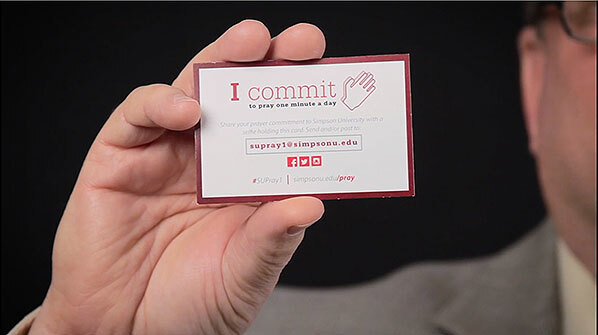 As we approach our university's centennial, we are asking you to partner with us in prayer in a very simple but powerful way – committing to pray one minute a day, every day, for Simpson University. 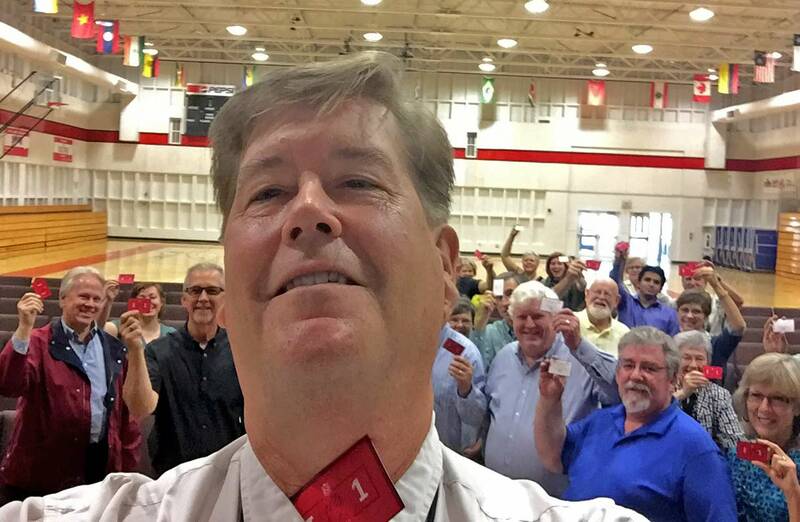 The "Gateway to World Service" is bigger and broader than ever, and more people are being touched around the globe through the mission and service of Simpson University students and graduates than at any other time in its nearly 100-year history. You can indicate your commitment by signing on. This will also allow us to keep you up to date with the impact of your prayers. We also encourage you to share this commitment with friends, family and publicly via Facebook, Twitter, Instagram and YouTube. Take a photo or video of one of your prayer requests or answers to prayer. 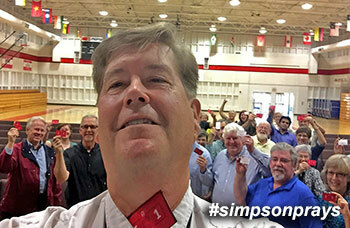 Be sure to use the hashtag #simpsonprays and #simpsonpraise for prayer results.